I’ve got to admit that a pet peeve of mine is senior members of the Democratic party who talk the talk of liberals or progressives but walk the walk of self seeking hypocrites who are only interested in their own careers. Of course my leading peeve is our liberally eloquent president who can never find a real progressive or even a mildly liberal to fill an appointed office. Now he is pushing an appointee for a federal judgeship in the state of Georgia who even Harry Reid feels is toxic waste. This individual has a record in the Georgia house of backing any and all bills that limits women’s right to control their own health. But that isn’t all. He still has affection for the confederate flag, long may it wave. When it comes to appointees to the government’s financial bureaucracy our president has a particular affection for dyed in the wool Wall Streeters rather than Nobel Prize winning economists. But my chief pet peeve is Russ Feingold who, while in the Senate, carefully constructed this image of a fearless liberal ready to vote against any reactionary bill, particularly those where his NO vote wouldn’t count because all of his party cohorts would vote yes. It sure fooled me. But fool me once, shame on you. Fool me twice, shame on me. I finally got it when Bush’s nomination of John Roberts to the Supreme Court came before the Senate for confirmation. It was quite clear in the hearings that this guy was a real danger to our constitutional rule of law. It was also quite clear that at his young age he could be around a long time to destroy many of our progressive laws and for that reason he would probably be elected Chief Justice. Senate rules have it that if ONE ‘Senator puts a hold on a presidential nomination that could stop the process and potentially derail the appointment. Feingold put up his usual arguments against Roberts early in the hearings but when it came to the vote he voted “Yes”. I was incensed! I called his office and asked an aide why did the Senator vote for Roberts nomination? The answer. “ The Senator believes that the president (Bush) should have what he wants.” We now have Roberts and a SCOTUS that has virtually trashed the constitution. Slow walk forward and Feingold leaves the Senate but starts ‘Progressives United ‘and I start getting fund raising requests so that PU can support “progressive” causes. Their program is “progressive lite” in my opinion. I wonder why he doesn’t run for Governor of Wisconsin which many others were urging him to do to beat back a right wing candidate. PU never seems to question any of Obama’s deadly compromises or appointments. But then a little over a year ago Obama appoints Feingold to be sort of an “ambassador at large” in Central Africa where information has just come out that we have set up a military “African Command” for the first time. And today we can read the full scale of the significance of that appointment in the link below. So we want to protect the nascent (?) ‘democracies’ and I assume beat China to the rich mineral and oil deposits and good old liberal Feingold is our front man there and we are left with Scott Walker in Wisconsin. 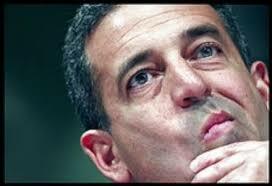 May30th – an after thought: Why would Obama pick Russ Feingold, a faux liberal with a following to take a post as an ambassador in Africa where we are newly committing substantial military assets? One answer could be that it would neutralize Feingold is he wanted to use his political Bold Progressives organization to oppose Hillary Clinton’s crowning as the Democratic Party’s presidential candidate. But a more likely reason in my mind is to prepare Feingold as a “safe” faux liberal with a large following to run as Clinton’s VP and thus give her candidacy the aura of liberality which she doesn’t have. With his new “foreign policy” creds in Africa it enhances his viability for national office. There you have it, fellow Crimestoppers. But for those masochists who desire more in-depth and gruesome details of liberal betrayal of the working class, see Chris Hedges’ book Death of the Liberal Class. For as the late Gore Vidal once put it: “America has only one political party, the Property Party, and it has two right wings.” Hearing a Republican call a Democrat a “liberal” makes me think of Ghengis Khan calling Attila the Hun “insufficiently barbaric.” I’ll bet that if the Republicans taunted President Obama by calling him too weak to castrate himself he would answer indignantly: “You can’t call me too weak to castrate myself! I’ll show you! Here, hand me that blade.” Come to think of it: Politically speaking, this already happened back in early 2009. I just visualize January, 2017 when You-Know-Her at her inauguration lifts her skirt, drops her knickers and pre-emptively shows her “Democrat” answer to the generic Republican “liberal” taunt before they even fling it at her. Over the past few days, the “liberal” Constitutional Law professor donned his leather Commander-in-Chief outfit and, yet again taking a page from the Cheney-Bush Playbook, visited the troops in Afghanistan, where the US war was being “wound down” to end on Dec. 31 of this year…or so we’d been told. Just yesterday (May 27) the C-in-C informed us that, well, there’s the little wrinkle in the deal that about 10,000 US troops (almost one-third of the official number there now! !–and what about the private security contractors??) will remain in Afghanistan through 2016. But “They’ll only be advisors,” we were assured. This is an obvious ploy to leave the back door open to a new “surge” of troop strength when these “advisors” come under attack. Today in the news we learn of a new multi-billion dollar “fund” to sponsor counter-terrorism ops…well, essentially anywhere on the planet that the US military deems “necessary.” So now there’s an official cover for inserting US troops, or perhaps “black” operatives, in Africa, eastern Europe, Asia, you name it. “The US must lead” we are told. Translation: the US has a “god”-given right, if not mandate, to DOMINATE the globe. The US will continue to be the World Policeman. Does this sound like “Change We Can Believe In”? It is merely extension of the same foreign policy of Obummer’s predecessors, whether they painted themselves as Republicans or Democrats. The great value of the current administration in D.C. is that it has proved absolutely and conclusively for all time that THERE IS NO “LESSER EVIL” in US politics. As Sheldon Wolin writes in Democracy, Inc., Managed Democracy and the Specter of Inverted Totalitarianism: “The [senior] Republican Party is not, as advertised, conservative but radically oligarchical. Programmatically it exists to advance corporate economic and political , and to protect and promote inequalities of opportunity and wealth.” Members of the junior Republican Party — who call themselves “Democrats” — advance the same wealthy interests and promote the same inequalities of opportunity, but with the additional mandate of serving, in the words of Chris Hedges: “as an attack dog that discredits radical social movements, making the liberal class a useful component within the power elite.” So we can anticipate two more years of a Black male Democrat betraying the working class before a White woman Demcocrat takes her turn for eight years doing the same. And after that, a Chinese transsexual Democrat will probably get its turn. I can’t help but think, accompanied by waves of nausea, that the pendulum will swing back to GOP possessing the White House in January 2017. Or should I say “re-possessing”? My crystal ball shows me an economy still moribund. The GOP will say “Obama ruined the economy! Obama cost you your jobs!” And the Great American Amnesia will allow them to win over enough of the electorate to get away with this. And will a thousand exhibitions of the photo of You-Know-Her sharing the thrill of the assassination of bin-Laden in the Situation Room be enough to persuade Boobus Americanus [credit: H.L. Mencken] that Dems are “strong on defense”?? Don’t count on it. I should add that I still get lesser waves of nausea from Dems than from the GOP; the latter revel in being blatantly hideous, whereas the former merely irritate the hell out of me in present circumstances. So should I vote for “the lesser nausea” in 2016? I will almost certainly vote for None Of The Above. Hillary promises more of the shame (typo intended), whereas Repubs offer true hope and change — hope for more empowerment and profiteering by moneyed interests and change to the right of Attila the Hun. Greg, you put your finger, so to speak, on the subliminal message battle that will ensue very soon now as to which side best “defines” You-Know-Her’s image as the next Muslim-Murderer-in-Chief. When I saw that photo of You-know-Her in the situation room — watching a platoon of Special Oops goons pumping hundreds of rounds into the dead corpse of Osama Bin Laden — she had her hand over her mouth as if she found the gruesome display either shocking or revolting. As someone with absolutely no exposure to military life, much less war, she looked a little scared. The Republicans may wind up running that photo with its implication of feminine squeamishness just as they ran a photo of Governor George Dukakis riding in a tank with a weird looking helmet on his head. What the Democrats think about how pictures communicate differs greatly from how Republicans think they do. John Kerry saluting in his civilian clothes and “reporting for duty” at his convention nomination looked simply stupid to a great many Americans who — for some reason I cannot fathom — found the stud hamster posturing and gesticulating of Deputy Dubya Bush more “all tough-and-stuff.” Consequently, over half the American electorate actually voted for the AWOL Texas Air National Guardsman instead of the guy who actually served in Vietnam and had the combat medals to prove it. Personally, I have no use for either of the two corporate clowns whom the Oligarchy will select for us to “choose from.” The campaign will hinge on which right-wing faction of the Property Party can most successfully hit what advertising guru Clotaire Rapaille calls “the reptilian hot button.” The snakes and lizards will fight this out deep in the fearful American subconscious while those who think that intelligence and “thinking” matter will again wonder just what in the hell really happened. Those who paid millions for the demographic market research will know, however. Or at least they will tell their paying clients that they do. So yes. Watch the pictures. But pay more attention to what message they deliver, and to whom. Again, I highly recommend the PBS Frontline program “The Persuaders” which originally ran in November of 2004, especially the sections “The Science of Selling” and “Giving Us What We Want,” which latter segment actually deals with giving us what someone else wants us to want. This will get ugly and nothing will change.